We have thrift shop donors . . . and then we have thrift shop donors. Today we want to tell you about some truly amazing donors! They are called Team Stone Creek, and they’re a student service club of 4th, 5th, and 6th graders at Stone Creek Elementary School in Woodbridge. At the beginning of the school year, the kids, along with their faculty advisors Mike Clarke, John Hernandez, and Shelley Nishikawa, brainstormed suggestions for service projects. 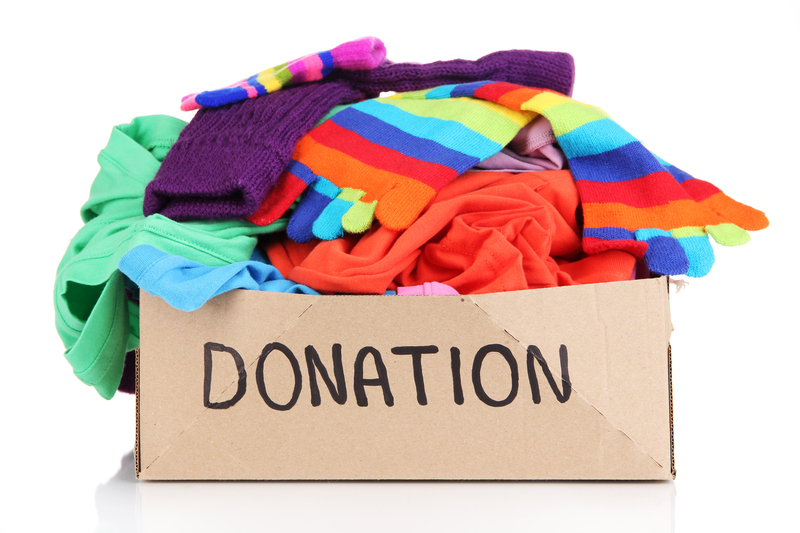 They came up with the idea of a clothing drive to benefit the ALI thrift shop, since they thought most families have old clothing they’d be happy to donate to a good cause. Stone Creek School has a special fondness for the Assistance League of Irvine, since Susan Mehrtens, a long-time ALI member (and incoming chapter president for 2014-15) was the school’s principal from 1998 to 2006. The students felt our thrift shop would be a worthy recipient for their donations. The 4th graders created a flyer and sent out an e-mail blast to the community, while the 5th graders made posters advertising the event. The 6th grade was in charge of picking up the donations. The clothing drive was a huge success – they collected almost 60 bags of clothing for ALI! These amazing kids also held a food drive at Thanksgiving to benefit Families Forward, and sponsored a book drive last month. Their efforts are one of the reasons Stone Creek was recently ranked as the fourth-best elementary school in Orange County (out of 371 schools) by the Orange County Register. With students like these, we know the future of Irvine is in good hands. Thank you, Stone Creek Elementary School! Remember Count Von Count from Sesame Street? 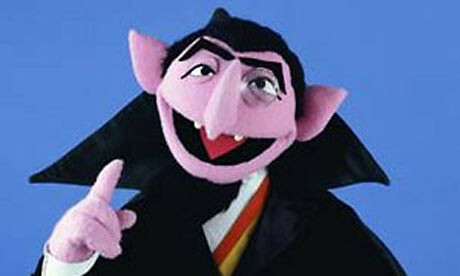 The Count, a muppet vampire dressed like Bela Lugosi, likes to count things. He counts. And counts. And counts. Your ALI volunteers aren’t like Count Von Count. We don’t LIKE to count. We want to get back to running our shop and raising money for our programs. So in order to have fewer things to count, we’re holding MONSTER SALES until the end of the month. Everything must go, go, go! Or we’ll have to count it! You can save us from the Count! Check out our weekly sales and come in to shop. If you buy it, we don’t have to count it. And the only thing YOU’LL need to count is how much you saved!